The best reason to visit Bristol's M Shed is the view from the terrace on a sunny day, or from the first floor windows on a wet one. Standing behind the floor to ceiling glass we watched the rain coming in, soaking the harbour and washing the boats in a grey streams. 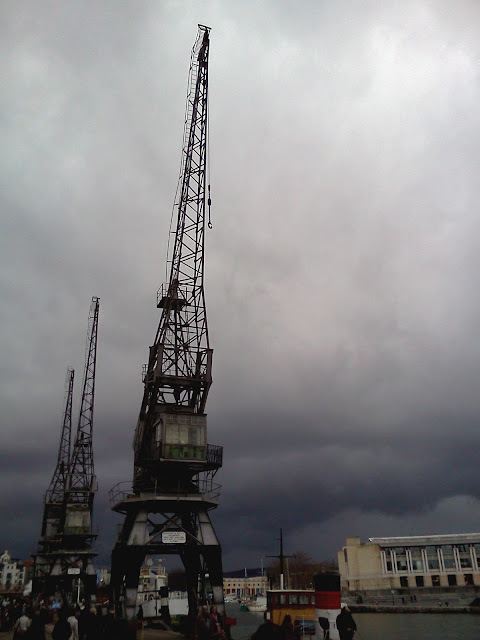 The skeletal cranes outside stand stoic and silent, letting the drops run over them and down into the harbour, their empty cabins looking down at the people huddled for shelter below their brothers.